Jujutsu (also known as ju-jitsu and ju-jutsu) is a martial art originating from Japan. Roughly translated to English, Jujutsu refers to the art of gently yielding, through using an opponent’s own strength against them. Jujutsu was originally designed to train people to fight against armoured opponents without using any weapons or just short weapons in the event their primary weapon was not available. Today, it has evolved into an art practiced by people for various reasons such as self defence, character building and health. In this article, we discuss some of these reasons in more detail, which we hope will encourage you to try out jujutsu. Many people take up jujutsu for self-protection. With so many unknowns in today’s society, it is certainly an advantage to know how to defend yourself in dangerous situations. Furthermore, as jujutsu teaches you how to effectively use your opponents’ strength against them, it can prove more than effective in dangerous situations with individuals larger than yourself. To improve your physical health. 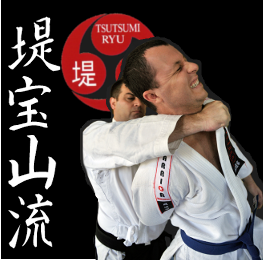 From the basic drills to learning new techniques and actual combat developing the body reflexes, jujutsu requires students to be in good shape. That is because you need to develop your strength, coordination and endurance if you want to strike, lock, throw, and perform other techniques required in jujutsu. You will soon begin to notice the effect Jujutsu has on the body and overall core strength as you start to feel stronger, healthier and in better shape. With a stronger and healthier body brought about by regular and challenging training, you will start to feel more confident in yourself. 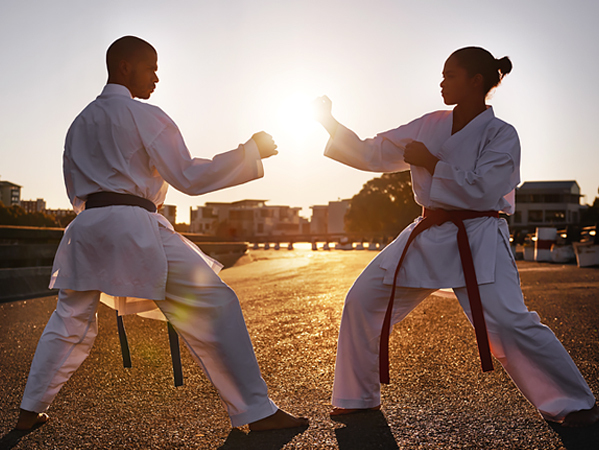 In addition to this, the more you engage in training sessions with our expert instructors and other students, the more competent you will become at Jujustu and practical self defence boosting your self esteem. To instil discipline and a positive attitude. You won’t become an expert at self defence overnight. It takes months and years of training and commitment before you develop the skills, body reflexes and reach the physical and mental strength required to become a self defence expert. Although the techniques learned are extremely effective at disabling an attacker, it takes discipline, dedication and commitment to develop the body reflex and “muscle memory” required to make it second nature. In addition the mental attitude required to accept an attackers force and use it to your advantage has far reaching practical and philosophical implications to your daily life. Want to Learn the Art of Jujutsu? Everyone can learn and benefit from jujutsu: men, women, and children. So whether you are looking to improve your health, defend yourself, or boost your self-confidence, you can learn the art of jujutsu at Self Defence Central Dojo. Here we teach Tsutsumi Hozan Ryu jujutsu, a traditional form of the Jujutsu, centred on the principles of self-control. For more information about our school, please send us an enquiry today.